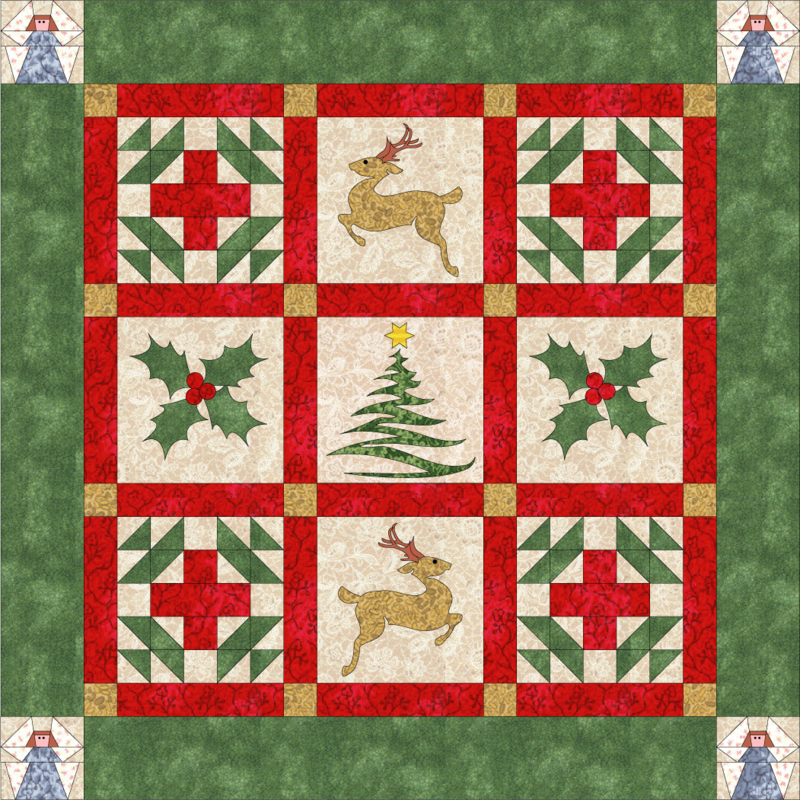 Then I made another one for Windham Fabrics. 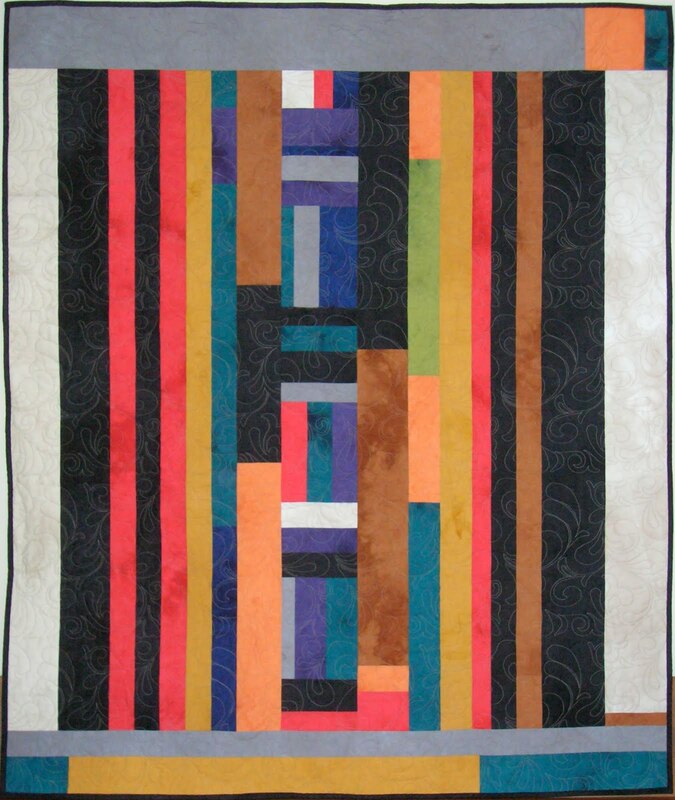 This appeared in my 2012 Wall Calendar of Quilts. 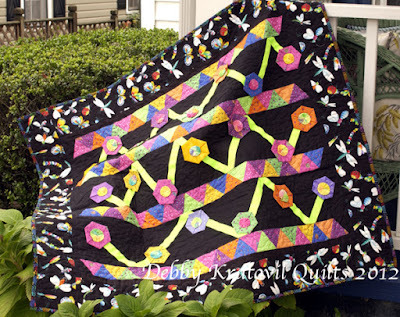 You can find it (and 11 other patterns) for only $10. And I used this half-hexagon pot shape for one other quilt. The flowers were fussy cut from a happy Lakehouse Fabrics fabric motif. 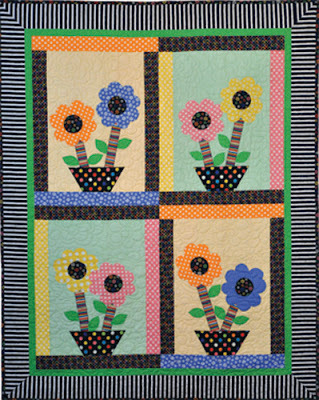 Isn't this such a happy quilt? 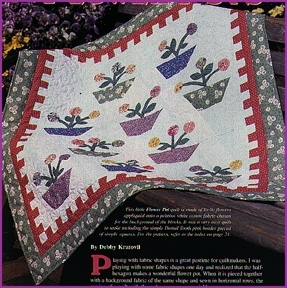 And in a FREE pattern on my Craftsy page: Trash Basket Batiks (made in 2002). 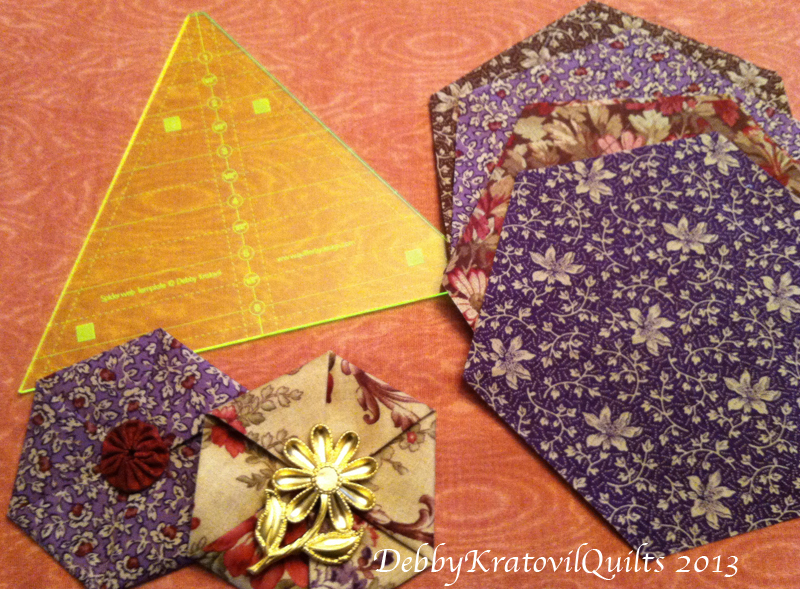 I rummaged in the trash cans during a guild sew-in and grabbed all the discarded batik scraps. I got the last laugh with these fun blooms. Go get the FREE pattern: Trash Basket Batiks. 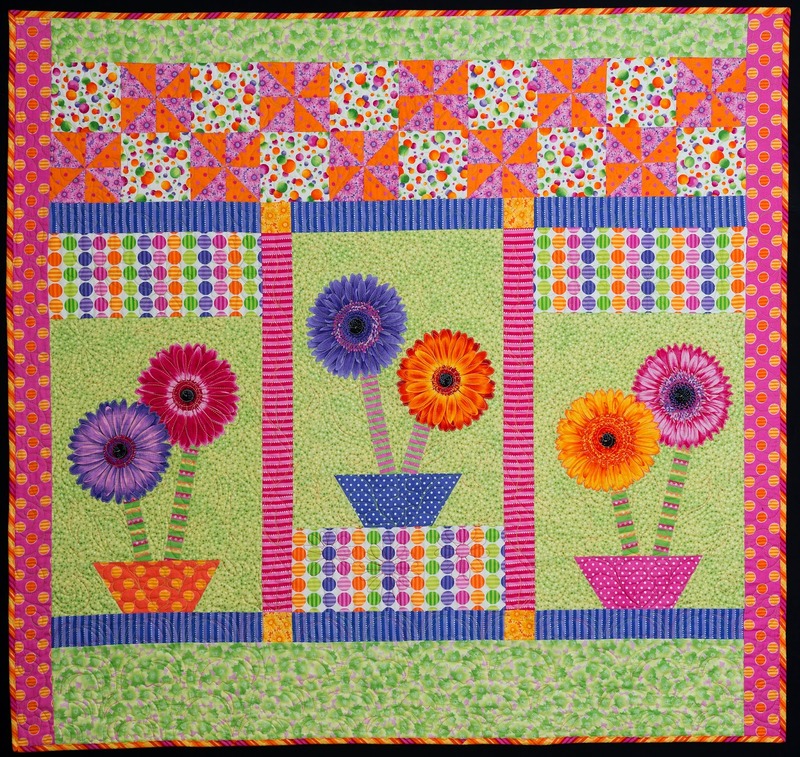 I figure I probably have another one or two creations around here using the half-hexagon for a flower pot. But for now, I hope you enjoy seeing all 4 of what I found so far. Yes, that's right. I began making these little flowers about 15 years ago when I was working with some origami shapes. I saw how Kumiko Sudo was doing this with circles, but that didn't make sense to me. I needed points of orientation and figured if I started with a hexagon I should end with a hexagon, right? 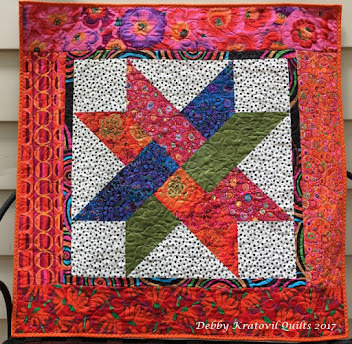 The first quilt I made using this technique is a bit wild and bright! I made it about 14 years ago. 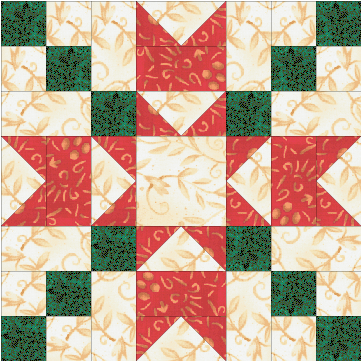 I used green gros grain ribbon, folded hexagons and dogtooth sashings. Pretty crazy, I think. Here is a picture of the hexagons before and after folding. I cut my hexagons using a 60 degree ruler. You can cut any size this way. I think I've shared this on the blog in the past. 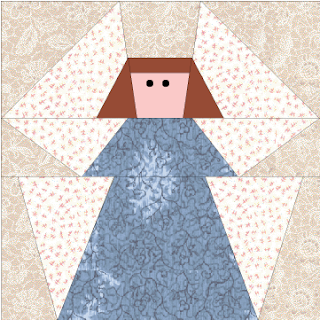 The handout/free pattern has a hexagon traceable template for you. 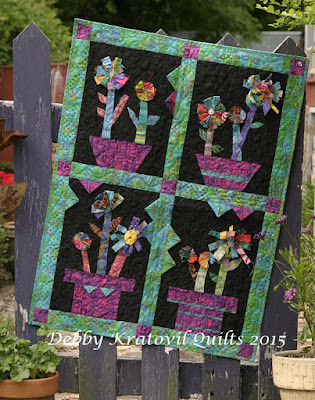 My most popular trunk show these days with quilt guilds is "Turning 60: The Joys of Hex." It's G-rated, by the way! 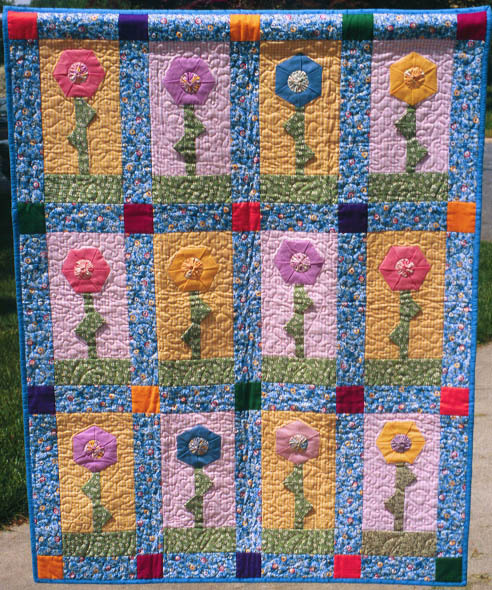 I pulled this little quilt to take with me on Monday because it hasn't been out of the closet for a long time. 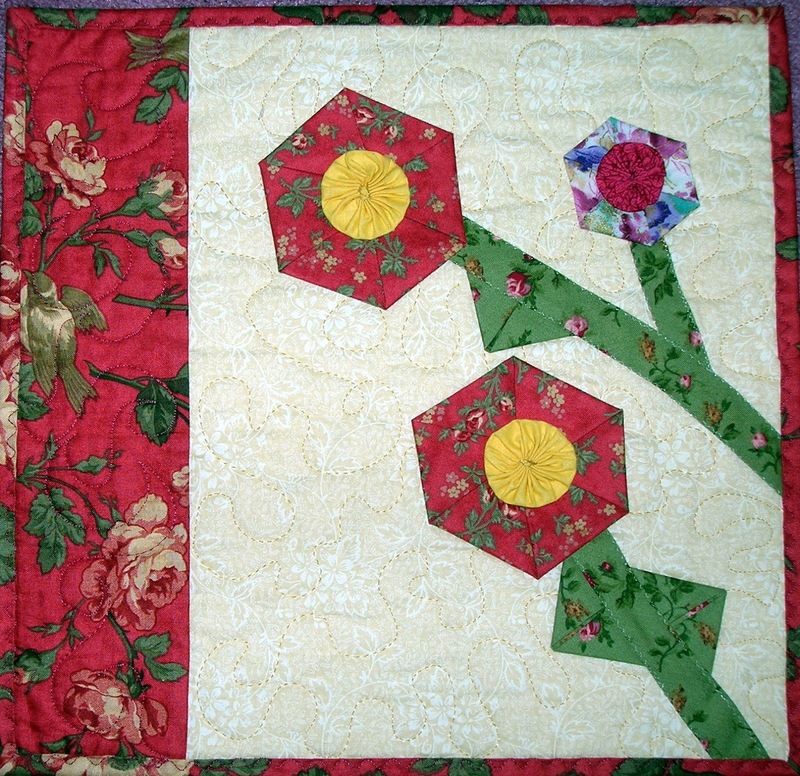 The flowers are folded hexagons. The leaves are prairie points. The center of the hexagon flowers are yo-yos. 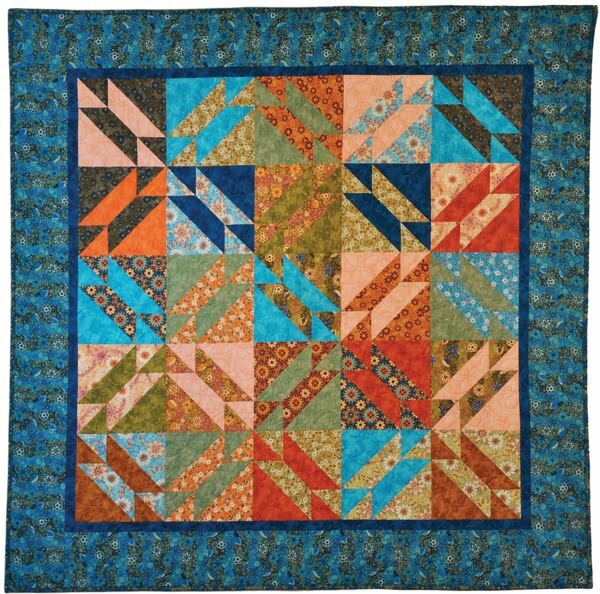 Lots of dimension in this little quilt. I put one of those folded fabric hexagons on a bag I made in 2013 using the Rebecca Collection by Windham. 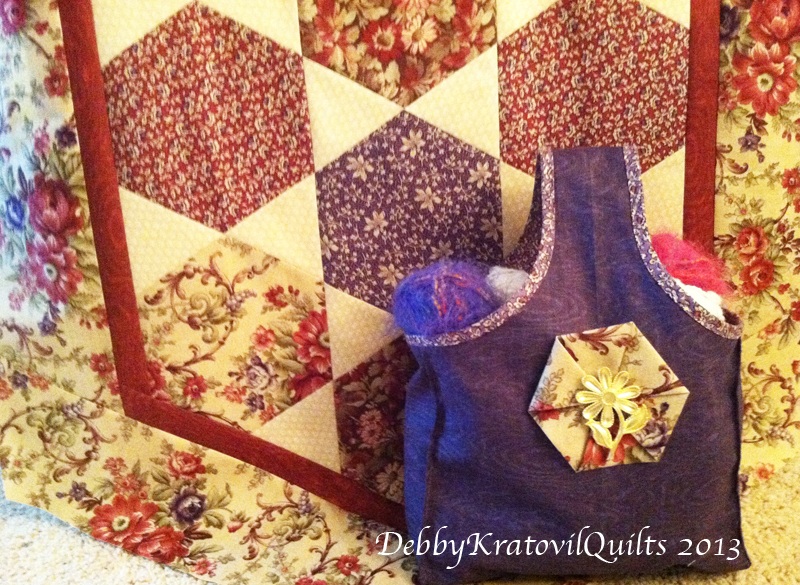 This is a reproduction set of fabrics and I was very taken with that purple! 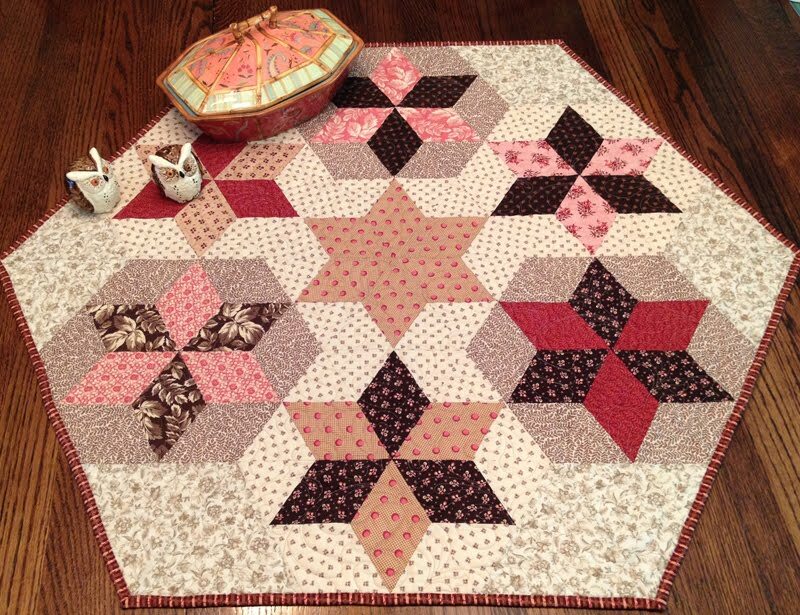 I also had this as a class sample for my small quilt using two different sized hexagons. More prairie points. What do you think? Now, would you like the instructions for making these flowers? It's a 2 page pdf download from my web site. And the yo-yo. Practice on construction paper to get the idea. Then you won't be able to stop, I promise. Due to the eagle eye of Sharon M. who sewed the Christmas Star block last night at 10 pm, she found the error in the cutting diagram. I had the wrong numbers for the C Patch rectangle. Thank you, Sharon! Sorry no one ever saw it in the editing department long ago. Here is the corrected diagram. Now get sewing! 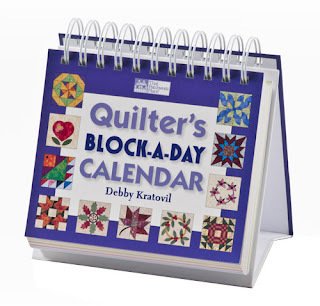 I have been designing blocks and quilts for my Quilter's Block a Day Calendar since 2006. 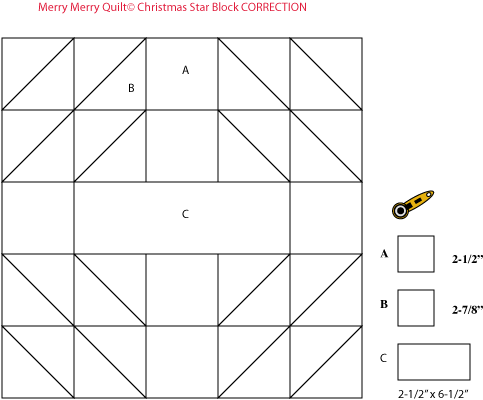 I compiled one of my favorite Christmas projects into a pdf and I think I need to get that to you NOW so that you can work on it before December, right? 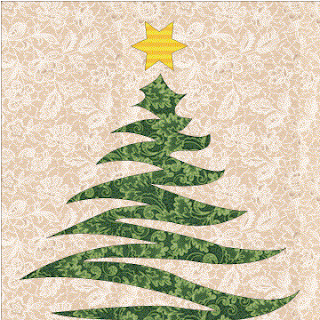 This is my Merry Merry Quilt from that first calendar. 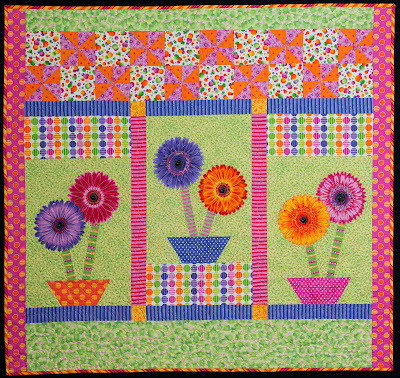 Piecing, applique and foundation paper piecing. 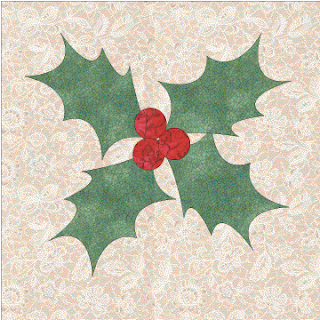 This project assumes you know how to do these techniques, but my own approach to applique is raw edge. 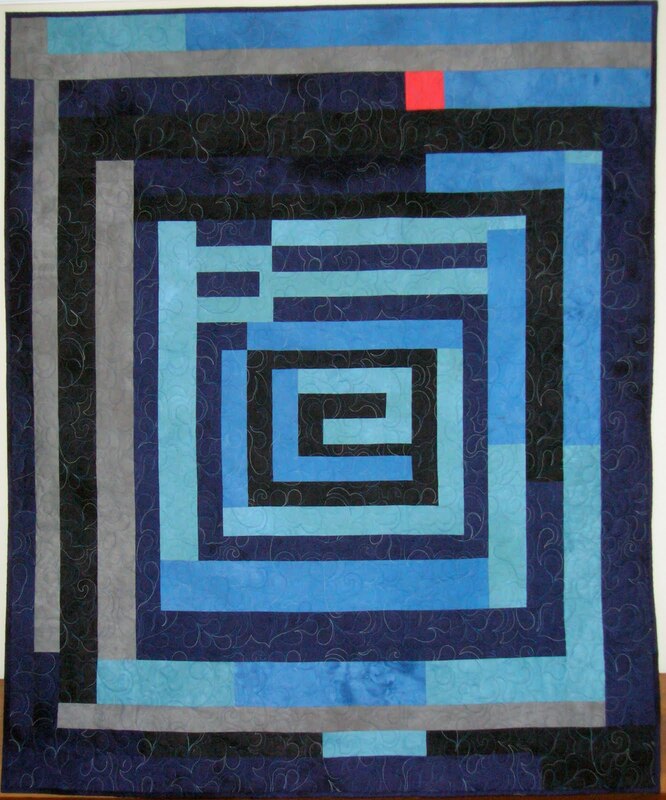 The quilt is 48" x 48". The blocks in the quilt center are 10" square and the angels finish to 5". All templates are full size. Full size foundation. All yardages are listed. We have to have a reindeer, right? Or Santa won't be able to get around! And we have to have an angel! You can download this Merry Merry Quilt by clicking the link. 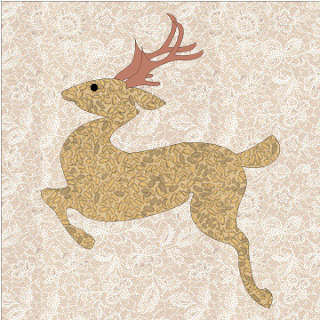 I will move it on over to my Craftsy site in the next week or so, but for now, it's on my web site. That means you don't have to fill out a form, etc. I do hope you enjoy this. And if you make any or all of the blocks, I'd love to see them. 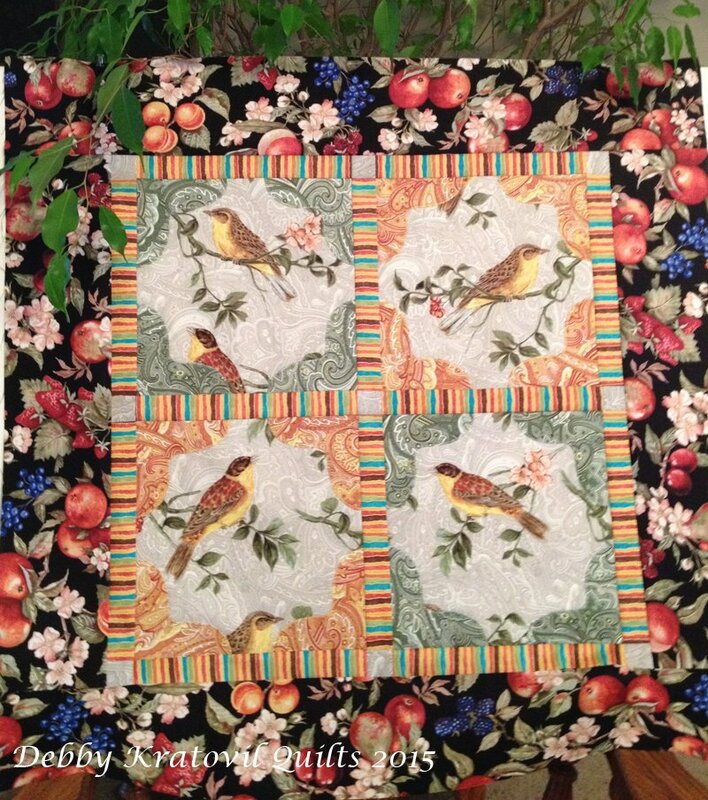 It's just about time for me to show more of YOUR quilts from the pictures you've sent. 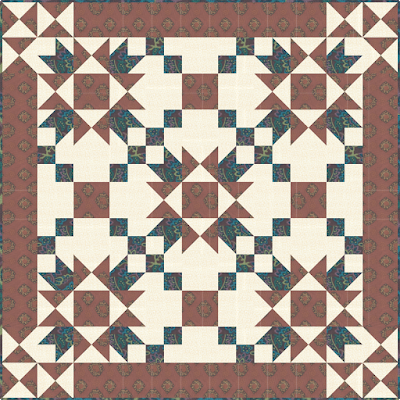 Union Squares Quilt: 50" x 50"
Already September! How can that be? My project this month is the September 29 block called Union Squares. 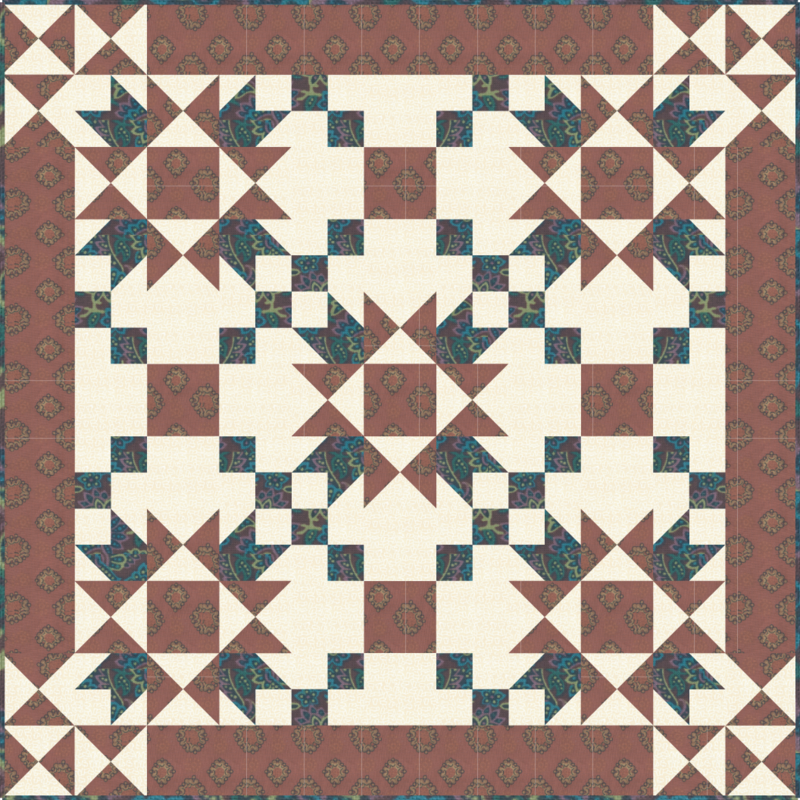 I combined it with four alternating Puss in the Corner blocks for a nice sized lap quilt or wall quilt. 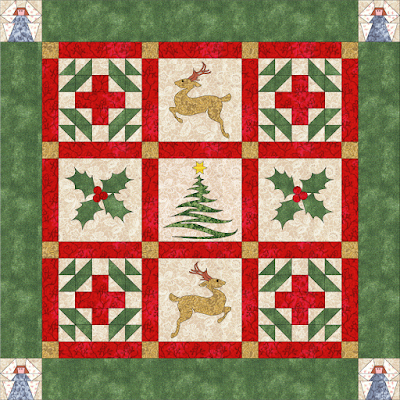 All cutting directions and fabric requirements are in the 3 page Union Squares Quilt pdf. There is a coloring page for you to audition your colors. But remember, you have to own a copy of the calendar for this to make sense. For those still sitting on the fence and not sure if they want to jump in and participate, you can still find this perpetual calendar at your local quilt shop and of course, online (Amazon). If you missed any of the previous projects, you can find them on the 2016 Calendar Girls page.